Due to a delay of the new electronic recordkeeping rule issued by the Occupational Safety and Health Administration (OSHA), employers can strike the July 1 compliance deadline from their calendars. The federal agency isn’t requiring employers to submit injury and illness reports electronically, nor has it set a new deadline. In fact, the future of the OSHA electronic recordkeeping rule is uncertain under a changing administration and the recent appointment of Secretary of Labor Alex Acosta. It’s important to distinguish that the delay only affects the rule issued in May 2016 regarding electronic recordkeeping. Under this rule, certain employers would be responsible for submitting injury and illness data through a secure online portal. In turn, this information would be posted on OSHA’s website available to the public. In addition, the anti-retaliation provision of the new rule still applies. This provision, which took effect in December 2016, forbids employers from discouraging workers from reporting an injury or illness. Specifically, you must inform employees of their right to report incidents free from retaliation, which is covered on the mandatory OSHA workplace poster. 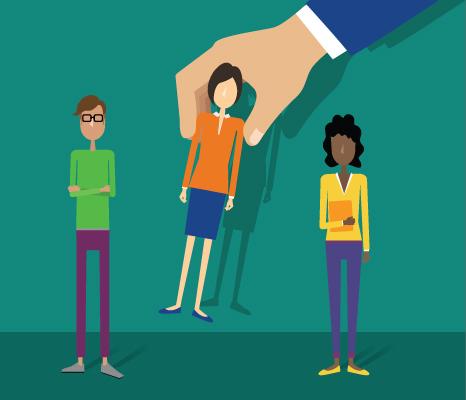 Your onsite process for reporting incidents must be clear and reasonable — and you’re strictly prohibited from retaliating against an employee for taking action. The future of the OSHA electronic recordkeeping rule is uncertain under a changing administration. 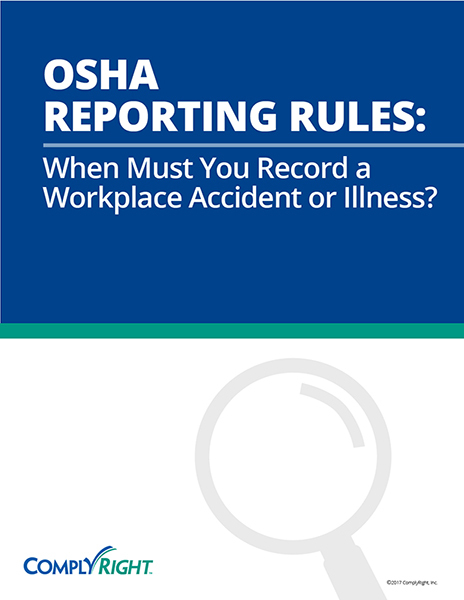 Complete and accurate recordkeeping is an important aspect of OSHA compliance in the workplace. For an easier way to meet OSHA recordkeeping requirements, consider a comprehensive OSHA-compliance software solution that puts everything at your fingertips. A wizard-driven approach uses your answers to determine whether an incident requires reporting, then automatically generates the required injury/illness OSHA forms with your entered data. And thanks to SmartUpdate by ComplyRight™, you’ll be alerted if (or when) any electronic filing requirements are implemented.